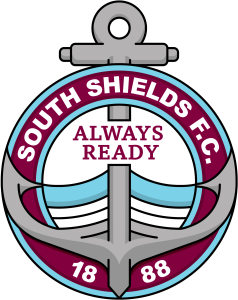 South Shields are looking to climb back to the top of the Northern Premier League when they travel to Grantham Town on Tuesday. With Warrington not in action on Tuesday, Shields will go back to the top if they win at Grantham. Shields are hopeful Dillon Morse will be fully fit after being named among the substitutes on Saturday because of a groin complaint, but Lee Mason is doubtful with a calf injury. Carl Finnigan, Barrie Smith and Anthony Callaghan continue to miss out. Kick-off at South Kesteven Sports Stadium – which has a post code of NG31 7XQ – is at 7.45pm.